Built in 1974, the existing East Ridge Community Hospital became a member of the Parkridge family of hospitals in 1993.The 128-bed facility provides a full range of medical surgical services to orthopedics and robotic surgery as well as obstetrical and women’s services for which the hospital is widely known. The Birth Place, a department of Parkridge East Hospital, includes a 22-bassinet neonatal intensive care nursery and comfortable, home-like labor and delivery suites. 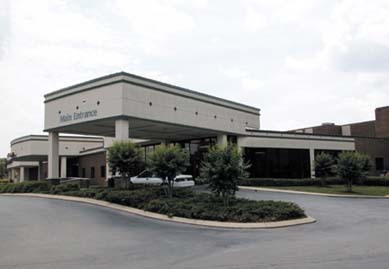 The hospital features a 24-hour emergency room as well as advanced imaging and laboratory diagnostic services. In 2012, the Center for Robotic Surgery at Parkridge East Hospital began offering patients services by the most experienced robotic surgery team in the region. In its fourth decade, Parkridge East Hospital’s reputation as a high quality healthcare provider continues to grow.